I used a simple layout for this card. I cut the DP and used the opposite side of the paper for the strip down the side. I added foam tape for dimensions then added some twine. The panels are popped up with foam tape. The sentiment has a layer of black cardstock and is also popped up with foam tape. Today would have been my mom's birthday, no matter how long a loved one has been gone there are days when you feel that loss more than others.. I love you mom, miss you. 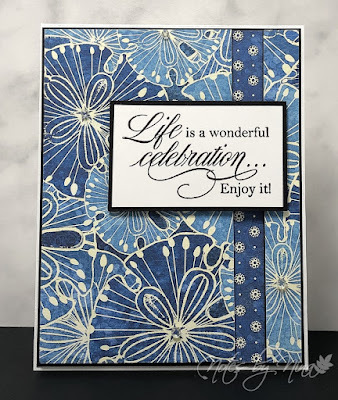 I used another simple layout for this card, I love the pretty bold print of the designer paper. I added a small strip of the backside of this DP along the right side then chose to use a large popped up sentiment. I finished with some clear crystal gems. 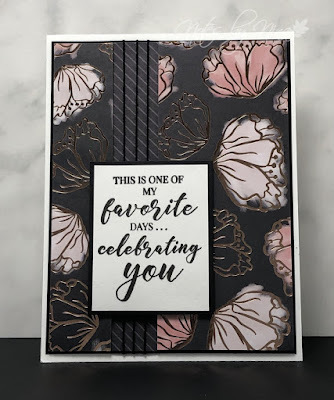 Supplies: White and black cardstock, Designer Paper - Graphic 45, Penny Black - Sentiment Collection. 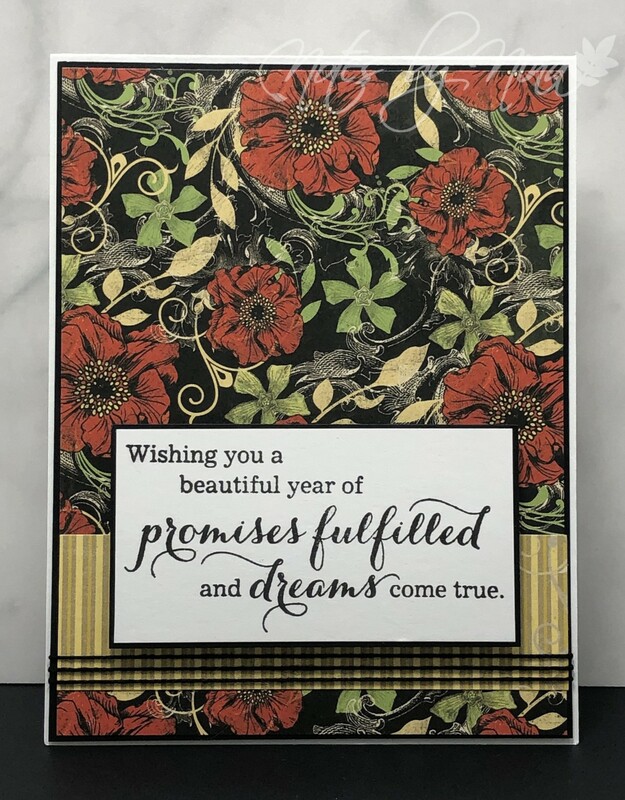 I made a card similar to this earlier in the year but I really love the design. I used distress inks to create the vibrate colours then added some shimmer with shimmer paste and a stencil. I added the Cosmo die cut over top then added some half pearls. The sentiment is simply stamped then popped up with foam tape. 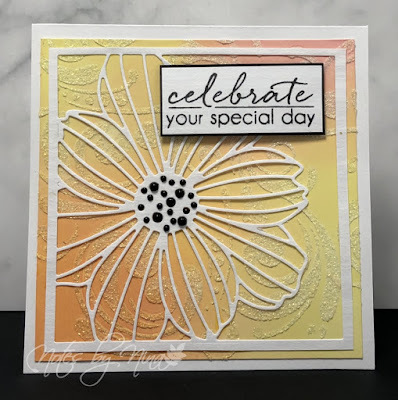 Supplies: White cardstock, Technique Tuesday- Find Beauty, Simon Says Stamp - Cosmos Frame, Cosmic Shimmer, half pearls. 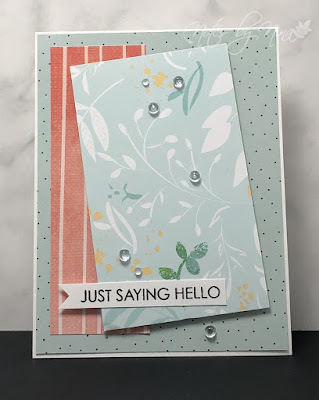 A quick post this morning for a card that was hiding on my craft desk. Layers and more layers for this card with the top panel being popped up with foam tape. The sentiment is simply stamped and I finished with some clear dew drops. I have a small stack of cards that are sitting on the side of my desk that I have not posted yet, I will try to get them all done this week. I love this vibrant paper, it made for a nice bold card. 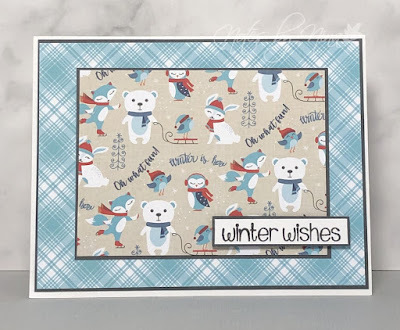 I used simply layered panels for this card, the sentiment panel is popped up with foam tape. I finished with some twine. Supplies: White and black cardstock, Designer Paper-Bo Bunny, Penny Black - Love & Peace. I have missed a few Monday postings with something merry and festive so I thought I would pick it up for today. This is a simple card, with easy layers of designer paper doing all the work. Each layer has grey cardstock in behind. I popped up the sentiment with foam tape to finish. Supplies: White and grey cardstock, Designer Paper-Echo Park, Penny Black. Goodness, I have been posting few and far between these days, where has time vanished too...9 days till Christmas. Today's card is a congratulations to one of my husband's co-workers who had a winter wedding is a very beautiful place... outdoors in the snow. These Tim Holtz tree die cuts arrived in the mail on Friday and I could not resist using them. 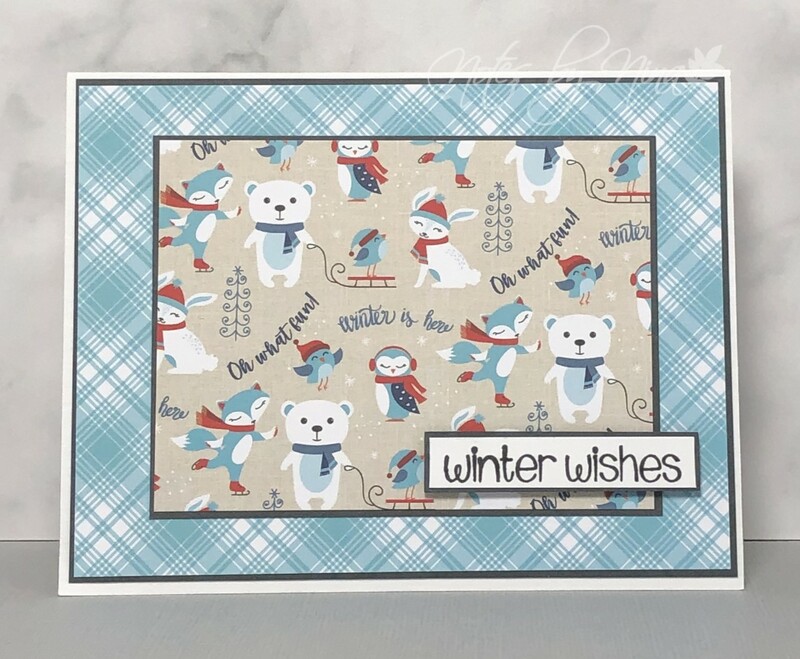 I layered the card using white and black cardstock, the main panel is embossed with a snowy background embossing folder. 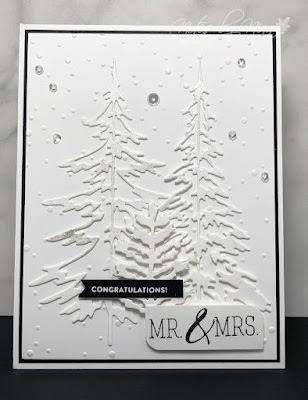 I die cut and layered the trees then added some Nuvo glitter pen, although it does not show in the photo below there is lots of beautiful shimmer on the trees. I did a blend of stamped and heat embossed sentiments, both popped up with foam tape. I finished with some sequins. 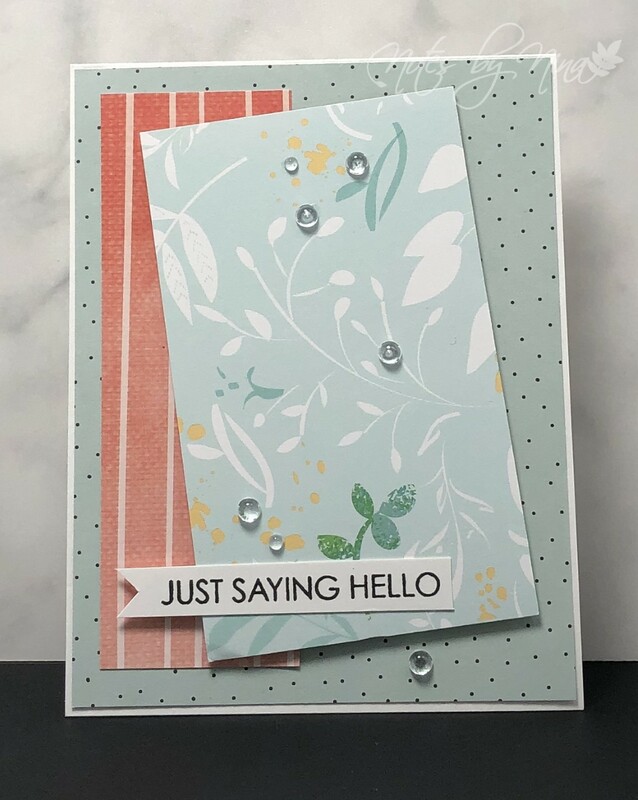 Supplies: White and black cardstock, Simon Says Stamps - Congratulations, Sizzix - Woodlands, Carta Bella - Snowy Pines, Cuttlebug - Embossing Folder, sequins.